The Ivy League university recently unveiled a five-year, $50 million plan to increase the diversity of its faculty members. "Yale's education and research missions are propelled forward by a faculty that stands at the forefront of scholarship, research, practice, mentoring, and teaching. 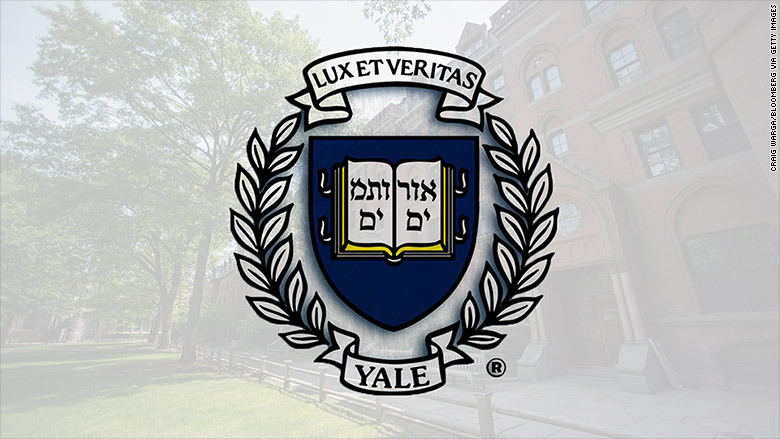 An excellent faculty in all of these dimensions is a diverse faculty, and that diversity must reach across the whole of Yale," wrote President Peter Salovey and Provost Ben Polak. Of the 4,410 faculty members at Yale University, during the 2014-2015 academic year, 39.5% were female and 22.5% were minorities. The initiative will provide funding for salaries and training about racial and gender biases. It will also create a teaching academy to encourage future generations of professors. Yale's pledge is the latest in a series of efforts by U.S. universities to increase faculty diversity. While university student bodies have become more diverse over the years, the faculties that teach them have remained largely white and male. In April 2015, Columbia pledged $30 million to increasing the diversity of its faculty. During the last academic year, women made up 41% of its faculty and minorities made up 26% -- among the highest in the Ivy League. That same month, Brown vowed to double faculty diversity by 2025. The University of Pennsylvania pledged $50 million to boost diversity among its faculty members in 2011. And Harvard created a department to increase diversity in 2005 and devoted $50 million to the effort.